Agile: Terrelian Jango Jumpers are gifted with natural athletics, and gain a bonus 2D to all Climbing/Jumping rolls. Long distance Runners: Terrelian Jango Jumpers can run for extended distances without becoming tired, and gain a bonus 2D on all running related Stamina rolls. 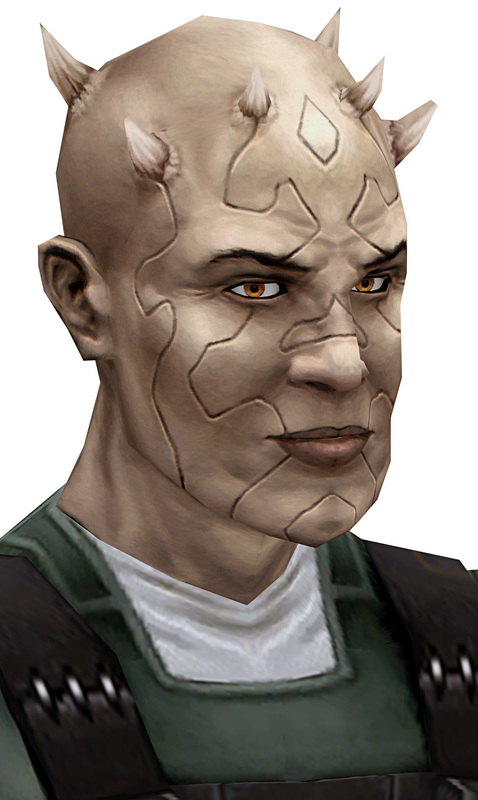 Description: The Eighth Brother was a Force-sensitive Terrelian Jango Jumper male member of the Inquisitorius who participated in the hunt for the growing rebellion. The individual who became known as the Eighth Brother originally occupied a position within the Jedi Order. At some point after the Galactic Republic was reorganized into the Galactic Empire, he was inducted into an Imperial agency of Force-sensitive assassins called the Inquisitorius, which was tasked with hunting down and eliminating any Jedi who survived Order 66. 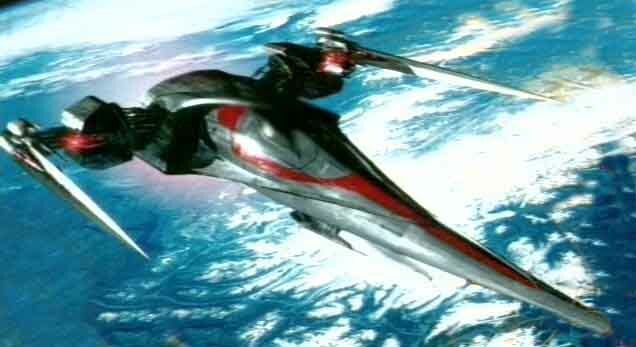 To accomplish this, he and his colleagues were trained by The Grand Inquisitor in the Inquisitorius Headquarters in The Works, but soon fell under the command of Darth Vader when Darth Sidious first demonstrated the Inquisitorius to Vader, who continued their training in the ways of the dark side of the Force. The Grand Inquisitor informed Eighth Brother and his colleagues that they had two masters, Eighth Brother in response proclaimed that they only served Sidious, but was soon countered by the Grand Inquisitor who stated that times had changed. Eighth Brother celebrated with all the other Inquisitors after Darth Vader, Fifth Brother, a Twi'lek Inquisitor and a female Inquisitor successfully killed Eeth Koth. 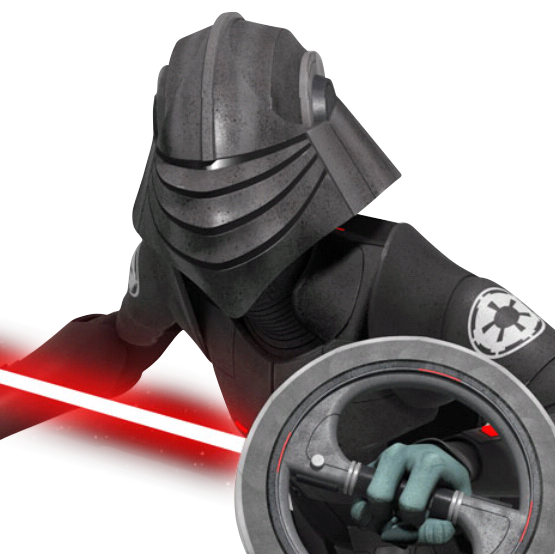 Like the other Inquisitors, the Eighth Brother was fiercely dedicated to the service of the Empire and Darth Vader. He was aggressive to the point that he often charged into action while his fellows hung back to allow him to weaken the enemy. He was also ruthless and cruel, demonstrating a willingness to drag out the terror of an enemy before killing them. However, his impulsive streak proved to be his undoing, as he chose to rely on his damaged lightsaber to escape when faced with battling three skilled enemies at once. Like all Inquisitors, the Eighth Brother was Force-sensitive and possessed skill in the art of wielding a double-bladed spinning lightsaber. He also possessed the same TIE Fighter design as his fellows. The Eighth Brother typically employed both of his lightsaber's blades in battle, and also employed them in order to propel away from enemies when outmatched. Additionally, his lightsaber had the unique ability to convert into a buzz-saw-like weapon that employed the handle while the blades were deactivated. In doing so, this allowed the emitters to be visibly seen. Other equipment the Brother used were a multitude of S-Mine Detonators he kept on a bandoleer. Within easy reach, the Eighth Brother would throw these small explosives toward his enemies. He also wore a suit of black and gray combat armor which bore the insignia of the Galactic Empire. His fighting style was somewhat similar to the Seventh Sister's, given his slim and acrobatic build. However, he appeared to have been no more skilled than his fellow Inquisitors in battle, as illustrated by his losses on Malachor.